It seems like a no-brainer: Your data center’s critical power equipment should be serviced by the company that manufacturers it, right? Not so fast—once the equipment warranties expire, your OEMs may not be the most efficient or cost-effective service solution. Calling ONE number is faster. In a crisis, you want just one number to call. Even better, you want pro-active experts already aware of your critical power design remotely diagnosing your critical power problem as soon as you pick up the phone. A high-quality independent service provider is designed for convenient, immediate contact and rapid response, with dedicated technical help at every point until your uptime is restored. Managing ONE service contract is easier and more cost effective. A data center installed with multiple OEMs can lead to service contract headaches. An independent service provider is the remedy. A single service provider—providing expertise across ALL major OEMs under a single agreement—restores efficiency to contract administration and allows for overall OPEX savings. Relying on ONE service team is safer. A single service team trained and experienced across ALL major OEM platforms provides peace-of-mind. With one team of dedicated technical experts familiar with your entire system and MOP’s, your needs are met with total transparency and zero duplicative efforts. Plus, as you grow (and as your equipment makes and models change), your Independent Service Provider provides consistent assistance, expertise and know-how—and rapid parts replacement regardless of brand—at every step. Finally, with an independent critical power service provider—one NOT tied to any particular OEM—you can be confident that the priority is your uptime. All-vendor service providers aren’t motivated by selling equipment or making quotas; they’re motivated exclusively by your 100% satisfaction with the service they provide. Whether you need comprehensive managed maintenance or critical uptime restoration, an Independent Service Provider can be your best choice. From UPS maintenance to battery and capacitor replacements—from the development of backup solutions including power distribution units (PDUs), automatic transfer switches (ATS), and generator systems, to the fine-tuning of your data center’s CRAC and HVAC systems—it makes sense to choose a service provider that can handle it all. 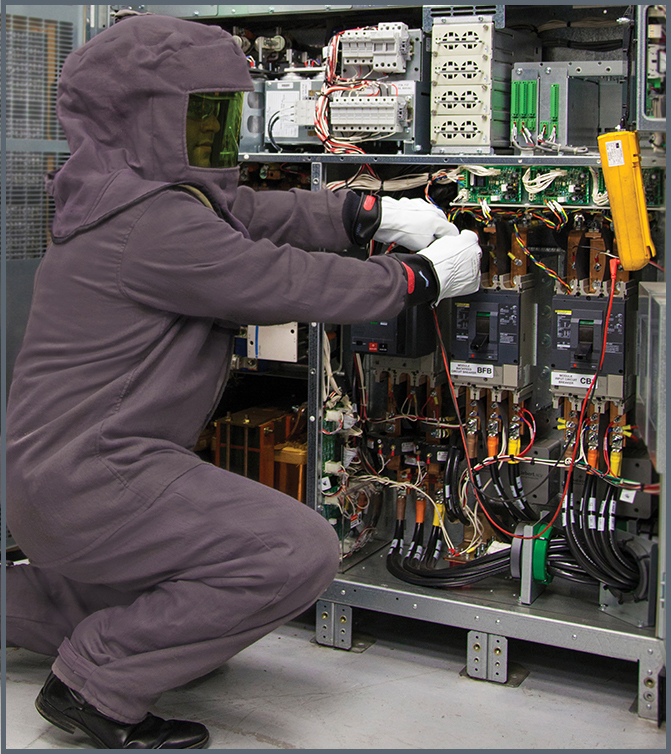 UPS and Battery Maintenance - Is Your Data Center in Good Shape?